I love books since I was a little girl, it's still fresh to remember how I read all the books we have on our bookshelves at home. I guess, during my youth days, we never have these fancy gadgets now that would certainly attract kids and adults to play games rather than reading books and not an e-book or games in modern technologies. Or maybe even if these modern technology exists during my younger time, I don't think my parents can afford to get us one as living with a big family have practical needs and other important things to be prioritized. 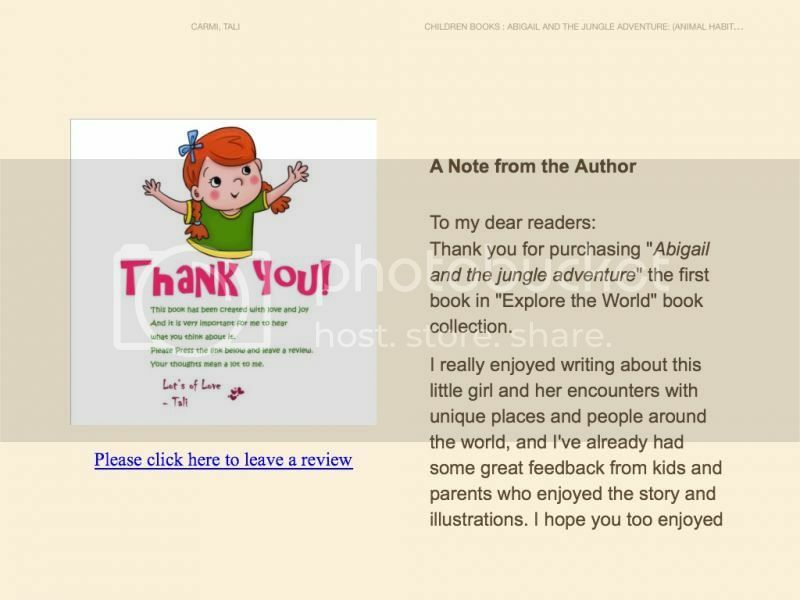 Anyways, I was given the opportunity to review a kid's an ebook through Amazon. Got it for only $1.00 and the ebook will be downloaded automatically to any tablet or kindle device you have in seconds. More efficient as you don't need to bring all those heavy books with you if you need to read them for your kids. Quick and convenient for everyone, thanks to modern technologies now. 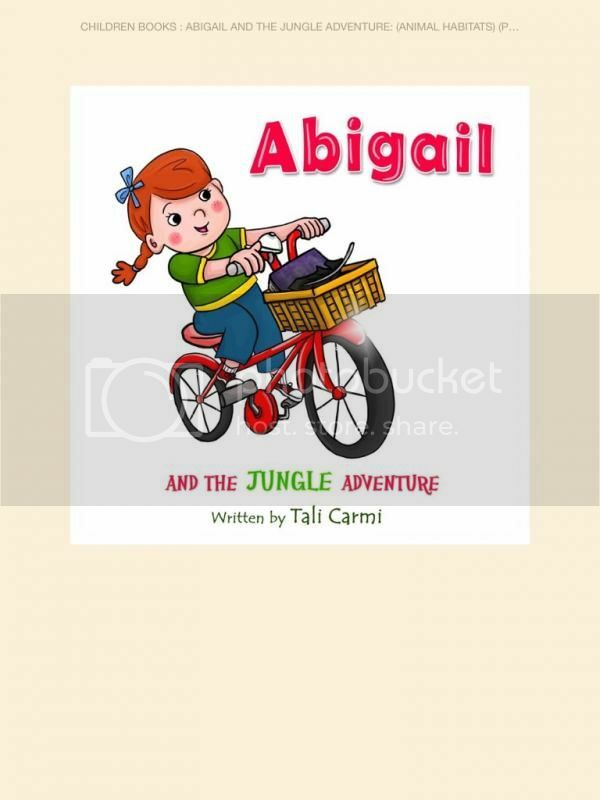 The ebooks titled Abigail and her journey is a very interesting book for kids to read. I would say, this is a great bedtime story for your little one. 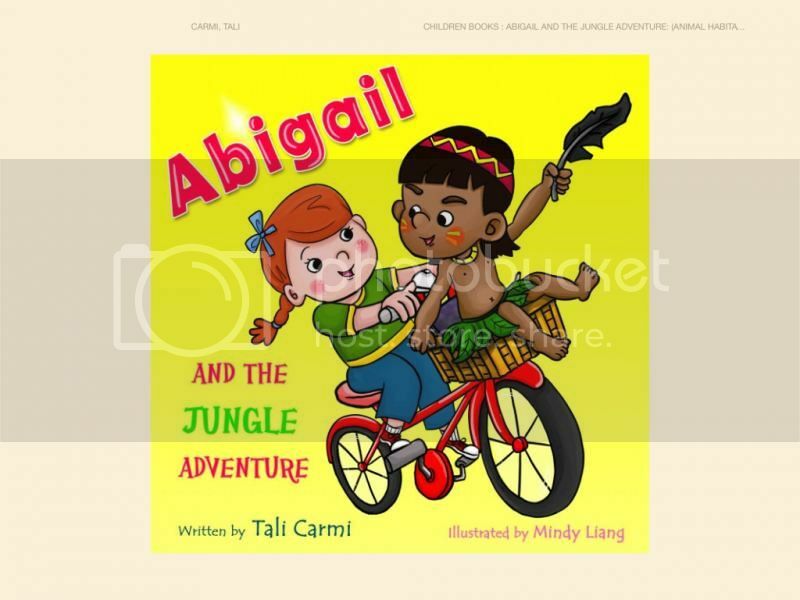 This would help their imagination widen as there are at least a few images on the ebook for them to see what Abigail is doing. I love how she works her imagination in the story to be in those places, this is a great way to teach kids about creating their own imagination and how they can widen it too. Overall, my familiarity with the ebook is wonderful, kids friendly, I love the imagination works in the story and how to be nice with each other no matter what race you are as well as the values it has. Liked to purchase one for your kid? Then simply visit them @ Amazon and download the ebook. I still prefer hard printed books over ebook but this sound like a good story though. E-books are allowed in my son's E-tab. This could be a good read! Good books stimulate the child's imagination and their desire for learning. These books would definitely be a good choice for parents with young kids. I loved books as a child, I even won an award in 4th grade (Most number of books read in a quarter). As the saying goes... start 'em young! :) BTW, I still love books and would go out and spend a part of my pay for a great paperback. The price of the book is almost free. You can't beat that price. I'm pretty sure most moms would love to have that but the problem is only those who have a tablet can download that. That seems to be a good book for kids to enhance their creativity and thinking process. My daughter is a bookworm too and she got it from me. I remember reading all our encyclopedias when I was 5 and I had read many times over the books of Dr. Seuss. I had memorize some of them at some point. Books are really great learning tools whether you are young or old. This is nice to read ebook that only cost $1.00. A perfect for every kid!